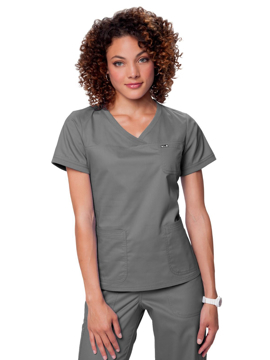 This classic v-neck top features a contrast print facing at neck, badge loop, lightweight moisture-wicking fabric, four pockets including hidden cellphone pocket with printed lining, welt pocket with printed lining, double-needle stitching at seams, and side slits. Center back length: 26". 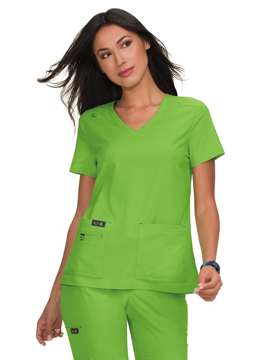 This pant features a front tie drawstring waist, elastic waist and silicone piping, zipper fly, two deep front pockets, two back pockets, side pocket, and d-ring for ID badge. Regular inseam: 32". Short inseam: 30". Tall inseam: 34". 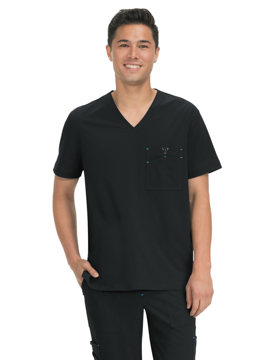 This top features a henley neck with zigzag stitching on front, chest pocket with pen slot, sleeve pocket, two side pockets, and side slits. Center back length: 31¼". 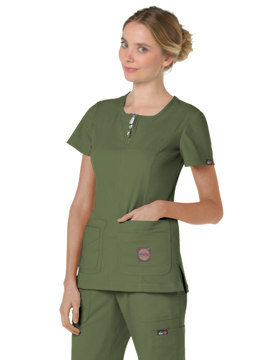 This classic pullover top features a snap-front neck, print facing at neck, three front pockets, elastic back at waist, and side slits. Center back length: 29". 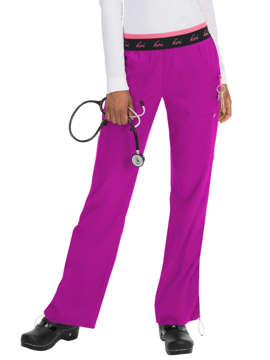 This mock wrap neck top features an adjustable tie-front at waist, with signature floral beads, print facing at neck, two deep front pockets, double-needle stitching at seams, and side slits. Center back length: 27¼". 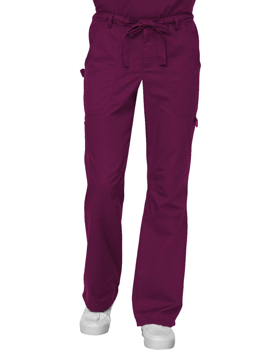 This low-rise, cargo pant features an adjustable drawstring elastic waistband, two front pockets, two back pockets with velcro flaps, side cargo pockets on both legs including scissor pocket, d-ring, double-needle stitching at seams, boot cut leg styling, and bungee toggles at hem. Regular inseam: 31". Petite inseam: 29". Tall inseam: 33". 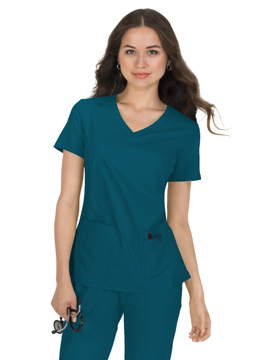 This top is a pullover style that features a soft rib trim at sleeve hem and neck line, three front pockets including chest pocket, and side slits. Center back length: 26". 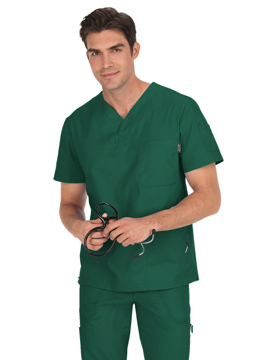 This jacket features a round neck with button front, deep pockets, coin pocket, d-ring for keys, stitched-in belt at front and back, and twill tape loop. Center back length: 29¼". 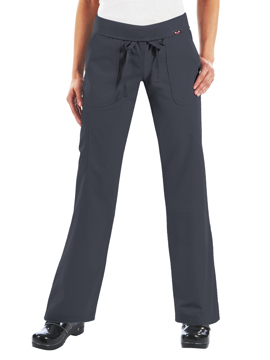 This low-rise pant a flat front, elastic back waistband, side-entry zipper, three front pockets including coin pocket, side cargo pockets on both legs, straight leg styling, and side slits. Regular inseam: 31½". Petite inseam: 29½". Tall inseam: 33½". 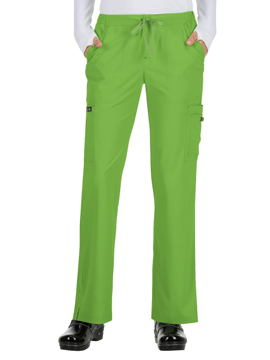 This pant features a mid-rise waist, front tie, all-around elastic, stretch rib trim at front pockets, three front pockets including zipper pocket, one side pocket, two back pockets, and straight leg styling. Regular inseam: 33". Petite inseam: 29½". Tall inseam: 33½". 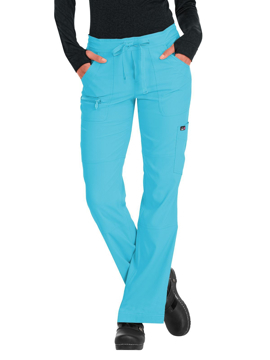 This pant features a mid-rise waist, double elastic all-around waistband, bungee cord detail with clip, two front pockets, one side pocket, two back pockets, and a slight flare leg styling. Regular inseam: 31½". Petite inseam: 29½". Tall inseam: 33½". 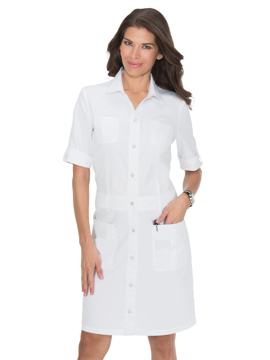 Button front with ¾ sleeves. 2 front pockets. Moisture-wicking fabric. Adjustable belt in back. Wrinkle-, fade-, and shrink-resistant. Center back length: 31". Classic v-neck. Chest pocket with multiple compartments. Bar tack detail on pocket. Double-needle stitching at seams. Side slits. Center back length: 30½". Rib collar at neck. Zipper front. Rib cuffs. 2 front pockets with bar tack details. Side seam pockets. Side slits. Center back length: 29". Mock wrap neckline. Contrast print facing at neck. Badge loop for ID badge. 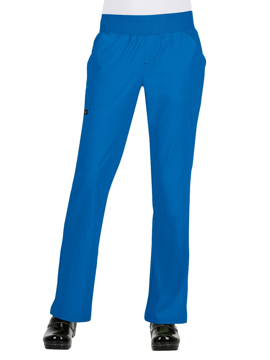 Lightweight, moisture-wicking fabric. Rib trim at sides. 4 pockets, including hidden cell phone pocket with print lining. Center back length: 27". Natural waist. Yoga-style with rib waistband. Contrast print facing. Lightweight, moisture-wicking fabric. 3 front pockets, including coin pocket. Side pocket. 2 back pockets. Double-needle stitching at seams. Contrast bar tack. Flare leg. Side slits. Regular inseam: 31". Petite inseam: 29". Tall inseam: 33". Crossover v-neck. Knit band trim at neck and side pockets. Heart embroidery. Chest pocket. 2 side pockets. Side slits. Center back length: 26".